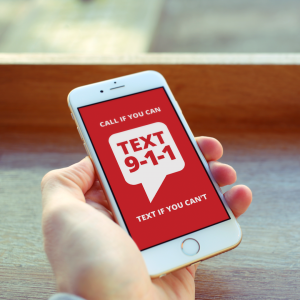 WALLA WALLA, Washington — Walla Walla Emergency Services Communications is moving forward to making it possible for residents to text 911. Public Safety Communications Director Steve Ruley says the new Text-to-911 technology is funded by existing phone taxes. “The system should be up and running by the middle of next year, if not sooner,” Ruley said. The Federal Communications Commission explains Text-to-911 is the ability to send a text message to reach 911 emergency call takers from your mobile phone or device. WESCOM currently handles in-excess of 100,000 calls for service annually, with approximately 25,000 of those received as 911 calls. Ruley says while the system isn’t up and running quite yet. People in Walla Walla County who try texting 911 will receive a “Service Unavailable” notice. Those using 911 services in Umatilla County, Milton-Freewater, and John Day can text for help from emergency services already. Those dispatch centers urge people to call if they are able to, but texting can be important during a home invasion or domestic violence situation. It is also helpful to the deaf community or those with speech disabilities. If you want to text 911, you should include the city and location of the incident and whether the help needed is police, fire, or medical. Photos, videos and emojis cannot be sent to 911. Trying to send them will corrupt the text.